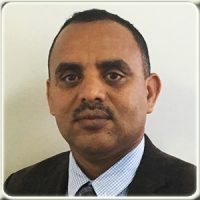 Mr. Tekle G/Yohannes began his career at Ethiopian in 1995 as Transportation Agent and has held a number of leadership positions in a number of divisions including: Addis Ababa Airport, Ethiopian Cargo, Aviation Academy as Chief Instructor, Area/Field Offices(Belgium and UK). In June 2013, Mr. Tekle appointed as Director Addis Ababa Hub and transferred to Region Office as Director Europe and America in July 2016. 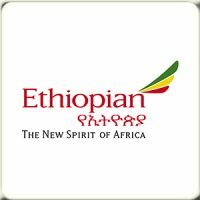 Since July 2017, he has been assigned as A/MD Ethiopian Ground Services. As of October 2017, he is serving as Managing Director Ethiopian Ground Services, the position he is currently holding. Mr. Tekle graduated from Addis Ababa University with a B.A. Degree in Economics and Marketing Management and he has his Masters Degree in Economic Development and Good Governance from the university of Paris and CERIS in Belgium. He is also studying Executive MBA from open university in UK.